YOU MUST READ this important Christmas information before ordering! Grasmere Gingerbread is freshly-baked every day following an old-fashioned recipe and therefore has a very limited shelf life. The quality of Grasmere Gingerbread will significantly deteriorate after ONE week. Recent testing has shown that it keeps better in a fridge/cold environment in an airtight container BUT we still recommend consumption within a maximum of one week. For more keeping qualities and questions please see our Frequently Asked Questions (Available in multiple Languages). Our artisan bakery produces Grasmere Gingerbread fresh each morning for that day’s dispatch and there is a limited number of parcels that can be processed. 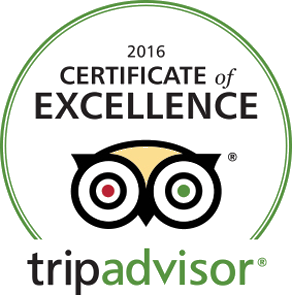 Therefore, we highly recommend that you place your order as soon as possible when booking your Grasmere Gingerbread delivery date. All domestic deliveries are made by our chosen time sensitive courier – FedEx. Deliveries are made Tuesday through to Saturday from 9 am till 6pm. The cost of standard working day delivery is £5.95 for up to 8 items in the package. Saturday Delivery is available for £14.95 (8 units). International deliveries are fulfilled by FedEx and DHL depending on location. This will allow US and Canadian orders to arrive by the Friday at their freshest and areas such as Australia to arrive by Tuesday. Orders can be sent after this date but we will take no responsibility if the parcel does not arrive before Christmas Day! Please select your preferred delivery date appropriatley to suit this, working back from the days it takes in transit. You MUST provide full post-code/zip codes and contact telephone numbers to enable FedEx to fulfil their requirements. For more information please see our Delivery and Returns. Ordering a delivery to your OWN home address to then give as a present on Christmas Day? If so you MUST specify a delivery date as near to Christmas as possible. If this date is full you will be offered an alternative. Ordering a delivery to someone else’s address as a gift? Similarly, you MUST specify a delivery date as near to Christmas as possible. If this date is full you will be offered an alternative. All personal messages supplied with an order will automatically be placed on our standard gift card (unless stated otherwise, or if purchasing your own greeting card). However, if you wish for the message to be placed on our exclusive Christmas card then the cost is ONLY 50p. This is part of our Christmas service to you (normal cost of purchase is £1.50). If you have a query about a parcel then please have the name, order number and postcode of the recipient ready at hand. *Please be aware that the Mail Order Office will be closed on Sunday 23rd, Monday 24th, Tuesday 25th and Wednesday 26th of December. 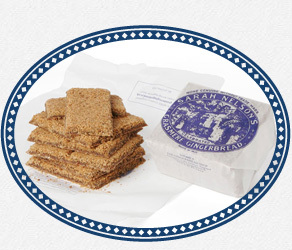 Don’t forget if you want Grasmere Gingerbread for Christmas you can also visit our shop…. Open every day – Monday – Sunday 9.15am until 5pm. Final open day before Christmas Sunday 23rd December. Closed: Christmas Eve, Christmas Day, and Boxing Day. Open again: Thursday 27th December. Mail order dispatch will begin again on Thursday 27th December 2018 for delivery on the 28th. In 2019 normal dispatch service will commence again on Wednesday 2nd January, with deliveries on Thursday 3rd January 2019.